This production opened on October 16, 2004 and closed on October 24, 2004. 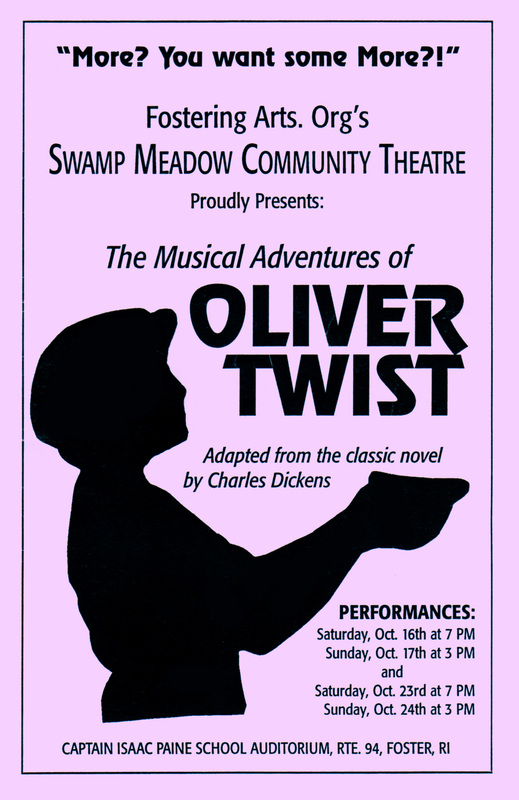 In the fall of 2004 Swamp Meadow Community Theatre presented our fourth production — The Musical Adventures of Oliver Twist. Directed by Alethea Doyle and Amy Hollis, the play starred Heron Kennedy (Oliver), Patrick Gilson (Mr. Brownlow), Meryn Flynn (Fagin), and a cast of 50 people ranging in age from 5 to 70.